PM Modi said BJP’s setback in assembly polls in Rajasthan, Madhya Pradesh & Chhattisgarh was “no reason” for low morale. 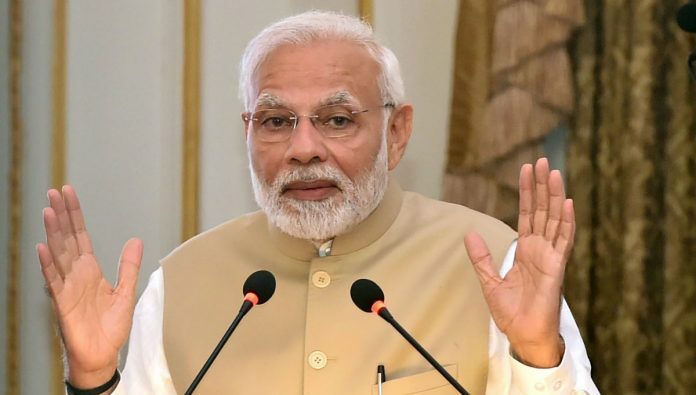 New Delhi: Prime Minister Narendra Modi Tuesday said the Lok Sabha elections due this summer would be a contest between those who are for and against fulfilling the aspirations of the people. Sounding confident of winning a second term, Modi asserted that the BJP’s setback in assembly elections in the heartland states of Rajasthan, Madhya Pradesh and Chhattisgarh was “no reason” for low morale. “We have faith and confidence in the common man’s samajhdari (intelligence)… in the youth,” he said in an interview to news agency ANI, dismissing talk of the ‘Modi wave’ or ‘Modi magic’ waning as “the same set of people” who are predicting 180 seats for the BJP today saw no such thing ahead of the 2014 Lok Sabha elections. Modi said that his party’s loss in Chhattisgarh was clear and there were “hung assemblies” in Madhya Pradesh and Rajasthan. He attributed the performance in the first two to 15 years of anti-incumbency. He, however, cited the party’s successes in the gram panchayat elections in Jammu & Kashmir and Tripura and municipal elections in Haryana to counter the perception about the BJP losing ground. Modi said that opposition parties were coming together to “save themselves” and they have no vision for the country. “For opposition leaders, Modi is the issue. On different days, they take turns to abuse Modi. You will hear nothing from them about their vision for India. In 2019, the people of India will set the agenda. They know who is with their aspirations and who is not,” Modi said, terming the next general elections as a contest between “janata” and “gathbandhan“. Rejecting the opposition parties’ allegations of a scam in the purchase of 36 Rafale fighter jets for the Indian Air Force, the prime minister said that the allegation was not against him but against the government. “On Rafale, I have spoken in Parliament and in various public meetings. The Indian Supreme Court has given its views and the French President has also spoken,” he said, asking the opposition parties not to run away after “slinging mud”. The prime minister also gave clear indications that he was not inclined to accede to the Congress demand for a national farm loan waiver. “There is a small segment of farmers which takes loans from banks. A majority of them take loans from money lenders. When governments make such announcements, those farmers do not become beneficiaries of waivers. The farmers who are dying are out of the purview of such schemes,” he said.